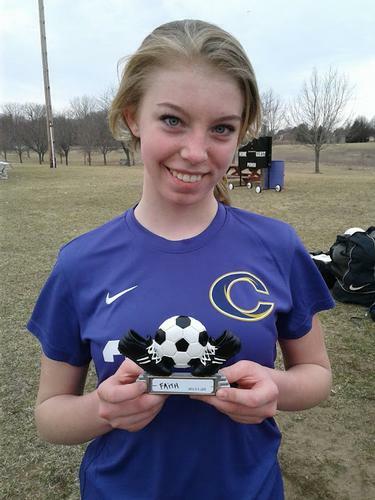 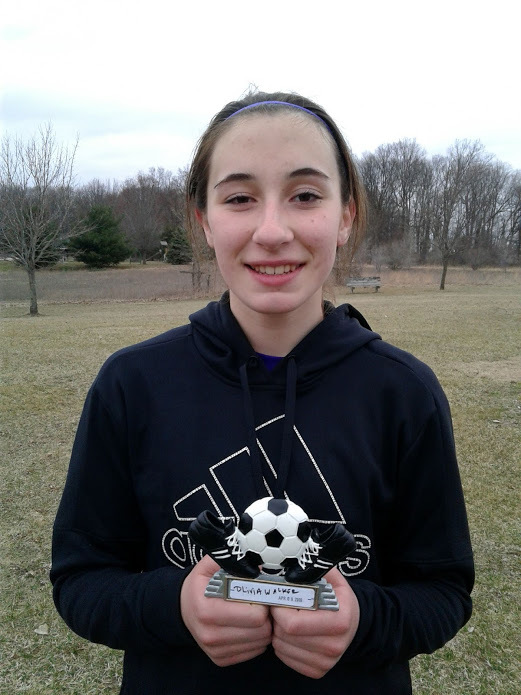 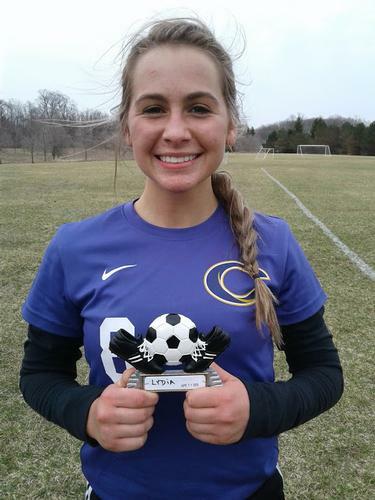 Lydia Chapelo (usually Sweeper) Game 1 MVP Player - Stepped up to be the goalie against Birch Run team with 19 saves . Faith MacDonald was game 2 MVP player against North Branch for her hard work and persistence in winning the ball and contributing to the defensive plays to protect her team's zone. 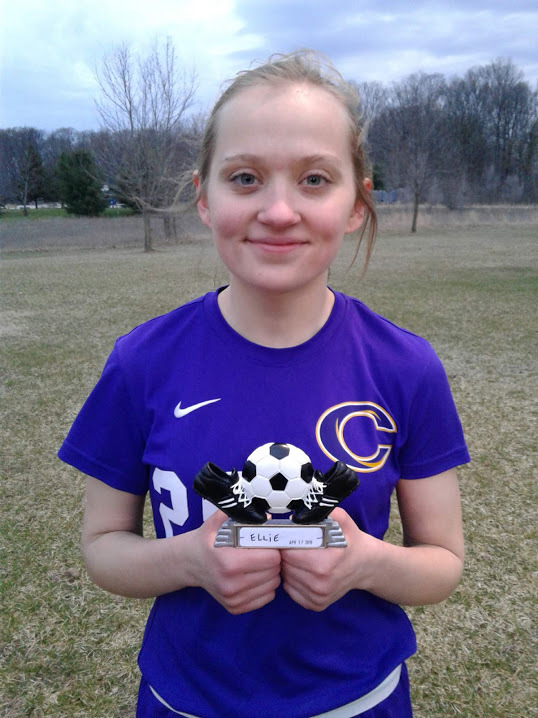 Olivia Walker was game 3 MVP player against Marlette for scoring the only goal for her team and contributed to both offense and defense zones. 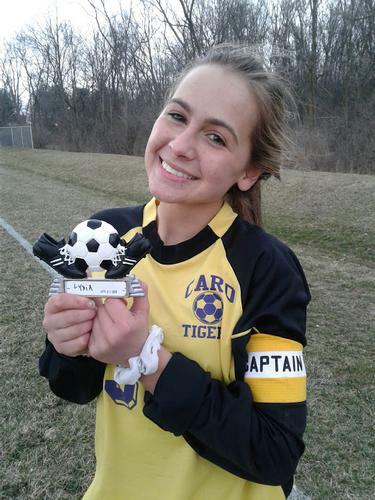 Lydia Chapelo was game 4 MVP player against Memphis for delivering an outstanding performance in both defense and center midfield. 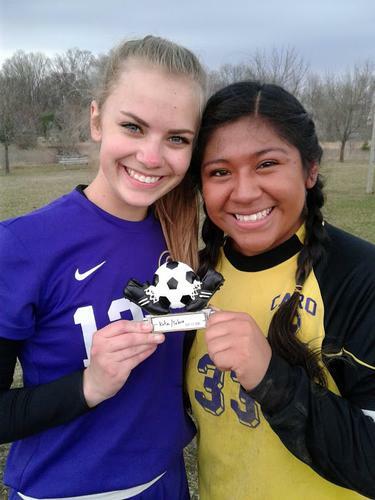 Center forward Katie Scharrer and goaltender Talena Pifer were game 5 MVP players against Sundusky. Katie scored 3 goals (hat trick) and Talena did not allow a single goal against her team (1st shutout) with no shots on her..
Captain and right midfielder Ellie Fisch was game 6 MVP player against Dryden for delivering a flawless performance in both defensive and offensive plays..